Some years ago, I convinced a friend to try out a first-level sommelier course. I had seen an ad on Facebook about the local Fisar course, and I thought it sounded very exciting, especially as I had been very interested in wine for several years. This turned out to be one of the best ideas I have had in recent years, as it brought us to discover a new and fascinating world of enology, wine history, wine tastings, etc. Furthermore, we got to know a lot of new people who, just as my friend and I, were eager to learn more about wine. This all lead us to continue the course, attending all three levels in one sweep. Thus, two and a half years ago we took the final exam, written as well as oral, and got a diploma saying we are now ”real” sommeliers. Soon thereafter, I started to further elaborate my idea about combining wine and translation (as I am a translator when not hanging out at wine events), and together with some fellow sommeliers from Fisar and a British translator colleague, we developed the concept Words & Wine. This one-day seminar on wine terminology in Italian and English took place in Florence about 2 years ago, thanks to the organization of Fisar Firenze. Thereafter, my translator colleague and I continued to develop the concept to better fit a translator dominated audience, changing the course name to Words at the Winery. It was organized by AITI Toscana at the wine estate Il Borro (near Arezzo) in June 2014. In the autumn of 2014, we organized another Words at the Winery seminar, in collaboration with AITI Campania, at the wine producer Feudi di San Gregorio, near Avellino. 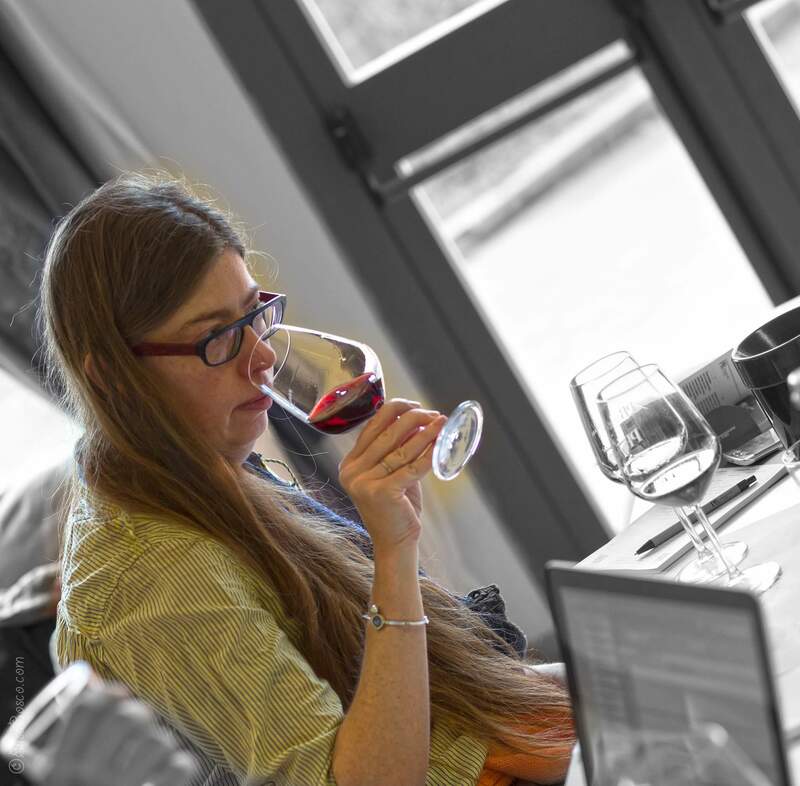 During the last year, my wine blog has become more focused, I try to write more about small producers, local wine tasting events or Italian wine in general. My presence on social media has become more strategic as well, trying to show Italian wine for a broader audience and keeping a conversation about wine going on a couple of different social media channels. My aim is to in an easy going way, talk about wine and provide short tutorials about wine tasting and different Italian wine regions further on. So if you have any special wishes, feel free to drop me a line and I will try to write about what interests you.